Marion Barry past into glory 3 years ago. Many people misunderstood the greatness of Marion Barry. Their memories of Marion Barry were forever linked to a crack-pipe in a hotel room off of South Capitol Street. That's not the man I remember today. The man I remember was a young lion in SNCC who risked his life to secure full citizenship rights for poor black itinerant farmers in the south. The man who fought the nameless, the hopeless, the forgotten throughout his entire life. Yes, Marion Barry had his demons and those demons were well publicized. Yet for every demon that Mr. Barry had in his life. There were so many more positive glowing lights of promise that Marion Barry lit for people of color, genre, religious background, and sexual preferences. It was said that the Barry Administration during his tenure of Mayor as well as his time on the City Council was responsible for the development of more black millionaires than any administration in this nation. To say that Marion Barry's life was simply revolved around being the Mayor of the Nation's Capital was wrong. Yes, Marion Barry was the Mayor of the District of Columbia but he also was a warrior in the battle against injustice. That's the man I honor today on the date that he joined the majestic ancestors of our black tribe. 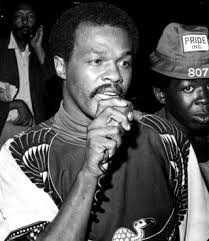 You see Marion Barry fought relentlessly for the equal rights of our people for most of his natural life. Continue to Rest After The Long Battles. The Struggle Is Not Yet Won But Your Efforts Are Never To Be Forgotten.